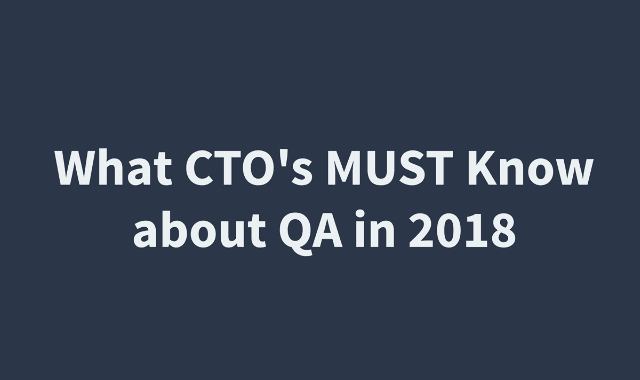 What CTO's Must Know About QA In 2018 #Infographic ~ Visualistan '+g+"
CTO’s must think about 2018 as the year they focus on QA as a pathway to growth. QA presents an opportunity to deliver exceptional experiences for customers. Yet many CTO’s are unsure of what they should be doing with their QA. Here are the current trends from the World Quality Report that will shape 2018.